Vaping is now a trend that most people are finding easy to get into. Youths are attracted to the style due to peer pressure or love for the lifestyle. However, there is still a significant number of people that are interested in jumping on the bandwagon after reading that vaping is a healthier option to smoking. And of course, also because you can vape essential oils and vitamins or literally anything. Today, we have advanced e-cigarettes and simpler ones. For now, let us focus on e-cigs that use JUUL pods or e-juice cartridges. The cartridge is attached to the JUUL, which contains the battery and the heating coil. The entire device comes with a charging unit or users can fix it with a USB to get power. So, how are users supposed to refill them? Read on to learn more. It is easy to access the little tank, but one must be careful not to break or tear the delicate plastics and rubber. The cap is clipped onto the tank to cover the rubber lid. So, you will need a flat screwdriver to carefully unsnap the clips. It might be difficult to do this the first time since it is firmly fixed, but subsequent times will be easier. Don’t forget to remove the cotton pads in the cap with a toothpick and use a napkin to squeeze them to remove the soaked e-juice. Once the cap is out of the way, it is time to remove the rubber lid. Be careful with this as it also prevents the juice from spilling outside. If there is a tear, the JUUL pod will be useless. Cleaning the JUUL pod should be the next step. If you want this device to work properly, the pod must be thoroughly cleaned to remove residue. We recommend this cleaning method for any of the numerous vape sticks found on the ePuffer website. If the process is done well, then it is ready for a refill with your favorite e-juice. The e-juice should be of a high quality to avoid clogging or blockage which can lead to an explosion. And most importantly, it will increase the vaping experience of the popular JUUL. Make sure that there are no spills and any liquid that is there should be wiped clean. Thus, you need to have a towel with you. Now you are one step from being done. It is time to put things back together. Start by replacing the rubber and checking for leaks. If there are any, you need to change the faulty parts. Luckily, JUUL pods are cheap and it is better to have many. In fact, the pack comes with a couple for your convenience. Put the cap back in its position and hook the JUUL pod into the device. 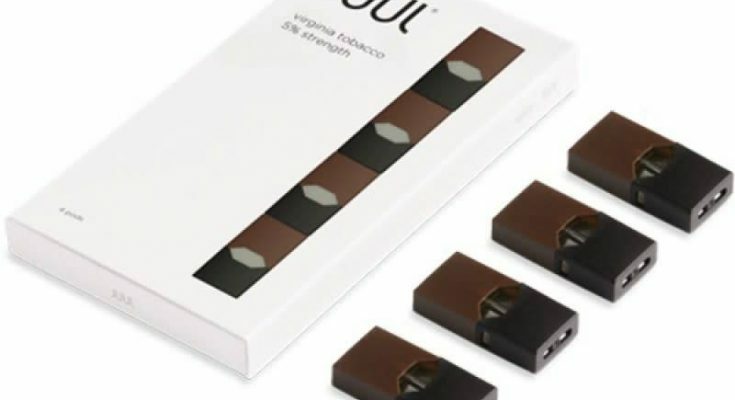 JUUL devices are popular because they are easy to use, chargeable, and come at a low cost. Most youths also prefer them because they are portable. Following the above process is good because it allows you to change from one e-juice to another.